The last year or so was tough for all miners, including companies that were offering cloud mining hashrate such as Genesis Mining and their customers as well. It seems however things are getting back on track for mining as there are new offers for DASH (X11) cloud mining coming from them at prices that actually seem reasonable and even profitable with the current far from great market conditions. 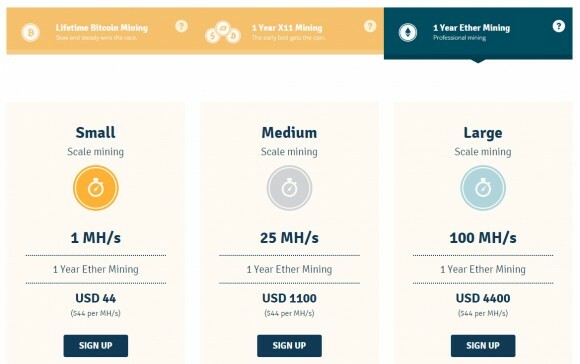 The cloud mining contracts are with 2 years term and $0.00001 USD per MH/s per day maintenance fee, furthermore after running the numbers through a mining calculator you can earn back what you have invested in about a year (taking into account the current mining difficulty and price of DASH). You can also use our special discount code CryptoMiningBlog5 to get some extra discount and get even better price should you decide to give their services a try. 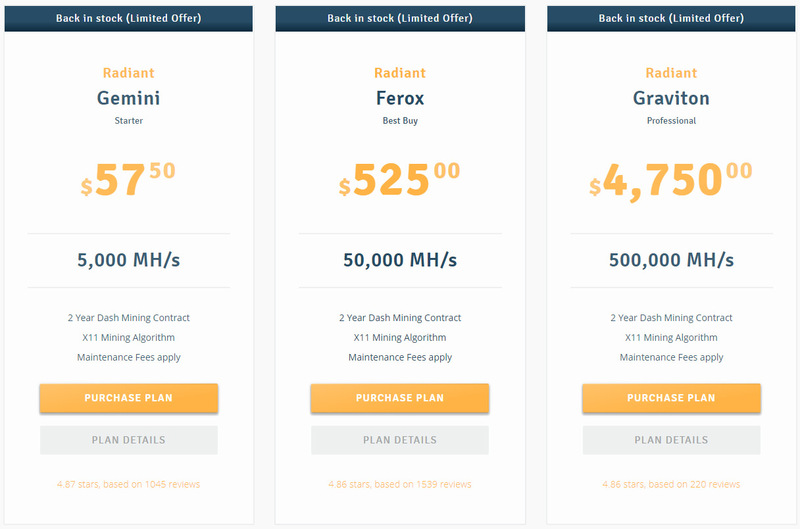 What we would like to see however in such an offer are more options to mine X11 crypto coins with the hashrate you can purchase as currently it is only usable for DASH mining directly and you can switch to a number of other cryptos that aren’t X11. This means that you can mine DASH and then it is being automatically sold for BTC, LTC, DOGE, XMR, ZEC or BTG and you get paid the amount if you do not want to get directly DASH coins. With a booming mining market this might be fine, but in conditions like at the moment having more flexibility is what miners are looking for and companies offering cloud mining and looking for customers should be able to offer more flexibility to their users in order to make their offers more attractive. Genesis Mining, the world’s leading hashpower provider for cloud mining, is announcing a new promotion for its existing and new customers. Genesis Mining provides cloud mining capabilities to those who want to mine cryptocurrencies without using costly hardware at home. Black Friday and Cyber Monday are right around the corner and Genesis Mining will be doing a sale from 12:00AM UTC on Friday all the way through Cyber Monday (12:00AM UTC Tuesday). During the sale all Genesis Mining products will be 5% off! Why Cloud Mining? Mining cryptocurrencies requires the use of sophisticated computer hardware. Most people don’t want to maintain this hardware, and even for those that have the expertise, the costs of energy, cooling, and maintenance often undermine mining profits. Genesis Mining offers cloud mining by giving it’s customers hashpower from an incredibly efficient mine that uses Iceland’s geothermal energy to provide peak efficiency at minimal cost. 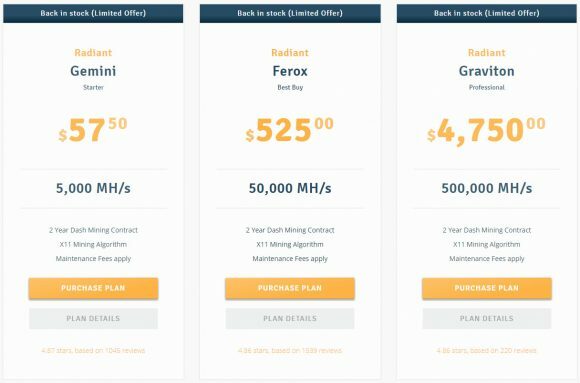 For those interested in a cloud mining experience, you can check the pricing page that will include the Black Friday/Cyber Monday promotion on Thursday at 12:00AM UTC. Since the promotional pricing is already applied when you purchase a new contract during the promotional period you should be able to also use additional discount codes as well. So you can use our discount code CryptoMiningBlog5 and get additional 3% off the already discounted prices for cloud mining hahsrate in the Black Friday/Cyber Monday Promotion.